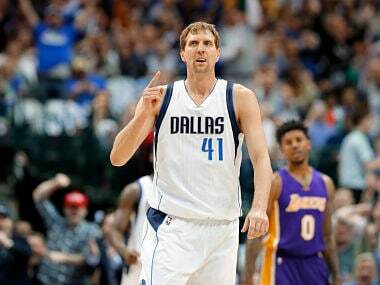 Great shooters shoot, and the greatest of shooters — even on their worst days — have the ability to shoot their way out of a slump, to get into a strong rhythm so that the missing clangs around the rims can turn into sounds of perfect swishes. The year 2017 was a topsy-turvy year for Indian basketball featuring a mix of encouraging highlights followed by major disappointments. But with the flip of a calendar, we have hit the refresh button with renewed hope of shooting our way out of our slumps. Even though progress has been slow, every year has seen new opportunities for growth for the sport. This year presents a packed calendar of events for the game to continue growing both on and off the court and turn more of those missed into swishes. Here are 18 things to look forward to in Indian basketball for 2018. 1. As usual, the first major event of every calendar year in Indian basketball is the Senior National Championship. The ‘Senior Nationals’ are the marquee event organised by the Basketball Federation of India (BFI) bringing together dozens of India’s state and unit teams in both men and women’s divisions for the most prestigious domestic title. 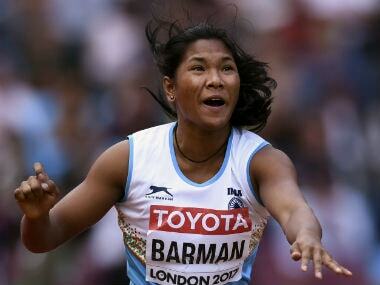 Held in Puducherry last January, the previous edition of the Nationals marked two stories of redemption, as 2016 runners-up Uttarakhand (men) and Kerala (women) won gold. These teams — and many other star-studded contenders — will be in contention again at the 68th Senior Nationals this year. 2. The first-ever window of FIBA's new World Cup qualifying process began around the world in late November. India’s men’s national team lost their first two games on the road to Lebanon and back home to Syria. The chances of India for qualifying to the next round are now looking shakier. In the next two international breaks, India will play against Jordan and Lebanon at home in February and Syria and Jordan on the road in June/July. If India can somehow finish top three in their group, the next rounds will be held in August/September and November/December this year. 3. 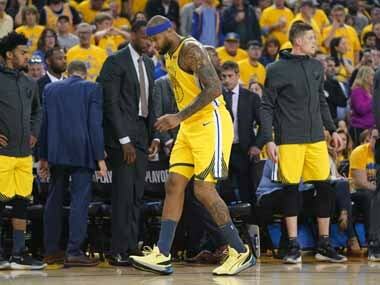 A few months ago, Indian basketball star Amjyot Singh was drafted by the OKC Blue of the NBA G-League and has since been playing limited minutes for them. With the turn of the calendar, Amjyot will hope to expand his role with the team and make a bigger mark in the League. His dreams of becoming the first Indian in the NBA seem distant, but he is as close to this goal as any player has ever been. 4. Meanwhile, Amjyot’s former teammate for Punjab and international clubs in Japan, Amritpal Singh , is making history of his own as the first ever Indian in the NBL in Australia. Amritpal began suiting up for the Sydney Kings a few months ago and, like Amjyot, has done his job in a limited role so far. In 2018, the big man will hope that he can establish himself better in Australia, or even take a next step forward to other international leagues around the world. 5. Another Indian making history abroad is Kavita Akula, the Chhattisgarh-born girl who became the first Indian to gain full scholarship to play basketball at the NCAA Division A level in the USA. Akula has suited up for Grand Canyon University in about half of their games early in her first season there. She will be hoping to earn a bigger role in 2018 as she gets more experienced in the system. 6. This year will also see the return of the BFI’s marquee grassroots leagues, the Indian School Basketball League (ISBL) and the Indian College Basketball League (ICBL) in 22 states and territories around the country. ISBL will be held between December 2017 to March 2018 in each participating state, while the ICBL will be held from April to July, 2018. The winners of the boys and girls categories in School Leagues and men and women categories in College Leagues from each state will qualify for the Indian School and College Basketball Leagues National Championship later in the year. 7. India doesn’t yet have a full professional basketball league. The next closest thing is the UBA Basketball League, which will return for its fifth season in 2018. Season 4 of the league was its biggest yet, as several of India’s top players, foreign talents (including NRIs), and established UBA stars shared the court. 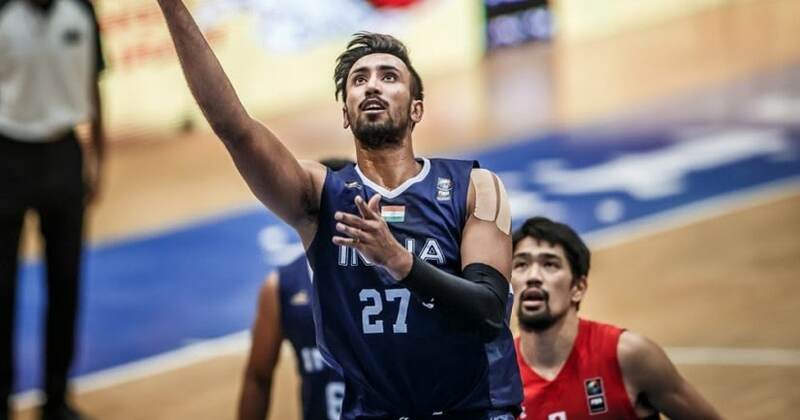 The UBA has now signed several marquee players for multi-year contracts, including India’s first NBA draftee Satnam Singh. Former NBA legend AC Green has been hired as the league’s director of sport. Last year’s champions Mumbai Challengers will look to defend their title this season. 8. For the first time since 2006, basketball will be played at the Commonwealth Games again. India’s men’s and women’s teams took part in the tournament 12 years ago in Australia and both failed to make it out of their preliminary groups. This year, the Commonwealth Games will be back in Australia’s Gold Coast from 5-15 April, 2018. For Team India, it will be a unique opportunity to get experience against elite teams from around the world. 9. The best Asian junior 3x3 basketball teams will gather for a couple of days near the end of April for the FIBA Asia U18 3x3 Championship. Indonesia’s women and China’s men won the tournament in Malaysia last year. After finishing near the bottom of the rankings in both divisions, India will aim to bounce back in 2018. 10. Back home, an international 3x3 pro basketball league will be launched in India for the first time in 2018, organised by YKBK Enterprise. In September, as a promotional event for this league, the Team Hamamatsu led by several Indian basketball stars took home the gold at Gurugram. 11. For the last three years, the Mizoram Super League has brought together the best talent from Mizoram, the North-East, the rest of India, and even a few foreign faces for a competitive month-long tournament. This summer the MSL will once again be one of the marquee domestic events for hoops in the country. 12. The NBA Academy also played host to NBA superstar Kevin Durant over last summer. Other NBA players, like Kenneth Faried and Andre Miller also paid a visit to India to promote the league in the country. How will the NBA top these visits in 2018? 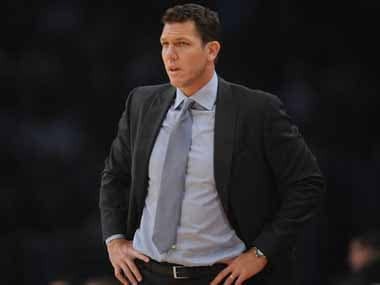 Big NBA stars or perhaps even exhibition games in India could be the highlight of this year. 13. India’s top under-18 players will take part in their respective FIBA Asia U18 Championships this year. The women’s event will be held in June and the men’s tournament later in September. The Chinese women have won three straight titles while Team India will hope to bounce back from falling to Division B in 2016. India’s men took a huge leap to eighth place two years ago. 14. Last month, the NBA announced the return of the massive Reliance Foundation Jr NBA programme, a comprehensive youth basketball initiative that will reach out to 45 lakh youth and 4,500 physical education instructors in 34 cities nationwide. This year’s programme will be held in March 2018. The top performers from each in-school skills competition will qualify to attend the citywide skills challenge, and the finalists from each citywide skills challenge will compete at the City Finals. The two winners of the National Final will then represent India at the Jr NBA World Championship, a first-of-its-kind competition that will feature the top boys’ and girls’ teams ages 14-and-under from the United States and around the world in Florida in August. 15. Sometime between June and July, India’s men’s and women’s teams will likely head to Chinese Taipei separately for the William Jones Cup, an invitational basketball tournament of national and club teams. India usually have a bad performance record at these tournaments, but they always serve valuable as necessary exposure at the international stage. 16. From 18 August to 2 September, the Asian Games will be held in Jakarta, Indonesia. India’s basketball teams have been regulars at this event. Now that the Basketball Federation of India has been granted recognition by the Indian Olympic Association and the government again, expect India to send a serious squad of players to bring home the best result possible. 17. India will have home court advantage during the Asian Beach Games in Goa in November. The beach games usually feature a 3x3 basketball tournament. India have enjoyed success in the past at this event, including a silver medal for the men’s team in 2014. If available, India will send full-strength 3x3 squads for the competition. 18. We have been waiting for it for almost a decade now, but it bears mentioning again: this could finally be the year that India is closer to having a full professional basketball league, organised by the Basketball Federation of India. 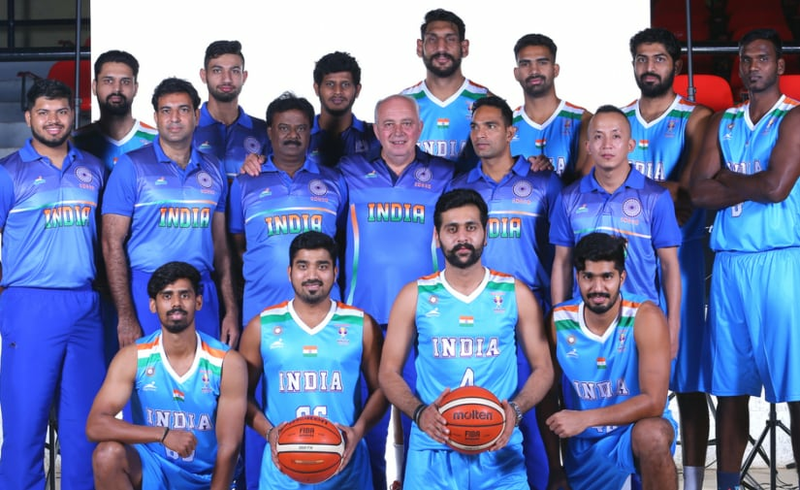 The league could be a game-changer for Indian basketball as it will provide full-time professional opportunities to India’s best players, coaches, and referees, create mainstream hype for the sport in India, and eventually help the international team with more experienced players.